In 1974 Porsche started playing with Turbo charging as part of the factory racing development program. It was also a time when the FIA Group 4 homologation rules required 400 road cars to be built, this spurred on the development of'Project 930'. Production of the street Turbo boosted 911 in April 1975. A 3.0-liter flat-6 with a KKK turbocharger in a chassis similar to the Carrera RSR road trim, which the combination delivered 260bhp a top speed of 155mph. The Porsche 911 Turbo quickly become the definitive sports car of its age. A car that amazing, excited and scared owners as well as the public. As one of the most raw cars on the market in its day, the 911 Turbo (code name 930) has earned its place as a legend. The 930 also earned a reputation of being dangerous at its limits, which nicknamed the car as the "widow maker". Although it gained some negative or dangerous characteristics, it also what Porsche's most threatening track weapon. Winning and dominating many races under the control of some of the most talented drivers. From the Porsche Certificate of Authenticity, this car appears today as it did when it was assembled new at theZuffenhausen Porsche plant; equipped with an electric sunroof, powere windows, rear wiper and Blaupunkt radio. The exterior color is Grand Prix white, and the interior full black leather. 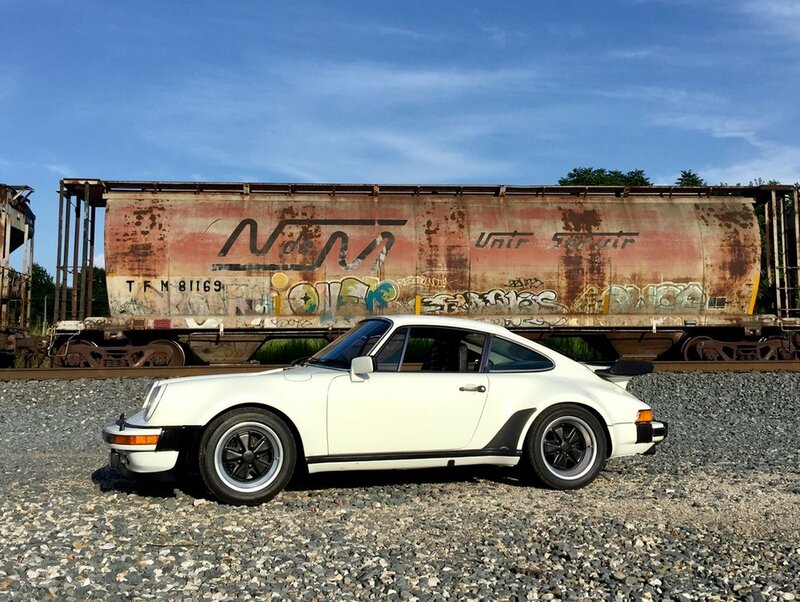 This European specification 930 Turbo Coupe has been cared for and owned by the same owner for decades. The cars extensive history file attests to much maintenance and service work performed, dating back to the early 1980s. The 930 is complete with owner's manuals in pouch, space-saver spare, jack, tool kit and history file. We have been improving the car. Some improvements up to date are the following; installed new headlight switch, passenger side window switch, new oil lines/hoses, full fluid service, and several other items.